Wine has meaningfulness matched by no other drink in the world. Each bottle of wine intrinsically describes some part of the world, letting its drinker travel to the farthest corners of the earth. We’ve chosen a few locations to take your wine tour to the next level. The Champagne wine region is a historic province in northeast France. Located only 160 kilometers from Paris, it’s easy to take a day or two to visit the region and experience the sparkle that makes wine from this area an exquisite experience. Chardonnay, Pinot noirs, and Pinot Meuniers are plentiful in the five wine-producing districts of the region, letting visitors travel up the countryside like vertical processions of tiny bubbles. Since the medieval period, this region has been producing wines upholding an extraordinary reputation. Best known for the sparkling wine bearing the same name as the region, Champagne, a drink sought by connoisseurs worldwide, is a term reserved exclusively for the lively beverages coming from this area. With beautiful landmarks, natural parks, and fabled wines, Champagne is the perfect destination for a traveler looking for a feast of all of the senses. The vine-draped hillsides of this region produce another sparkling wine. While Champagne refers to a region, prosecco refers to the tiny grape that produces an incredible flavor. Found midway between Venice and the Alps, this country is overflowing with the little grapes which offer prosecco in spumante (sparkling), frizzante (semi-sparkling), and tranquilo (still) varieties. Starting in northeast Italy in Valdobbiadene, tours wind through castles, ancient churches, canals, vineyards, and along small villages with delightful destinations. Make your way to one of the wine capitals of the world, Conegliano, a site that calls Prosecco Country home. The refreshingly cool climate is a land of vibrant valleys and steep riverbanks and hillsides, offering the finest bubbly and richest memories. While visiting Venice, be sure to take a trip to this region and discover a rich variety of experiences that await only an hour or two away. Jerez de la Frontera is a must-visit place on your wine tour. From light and fresh to dark and heavy, you will find every flavor of Sherry you can imagine in this beautiful area located in southern Spain. Regarded by many wine writers as “underappreciated,” Sherry is a wine treasure neglected by many. Sherry has protected designation of origin status, similar to Champagne, meaning all wine labelled Sherry must come from the Sherry Triangle in the province of Cádiz. Jerez de la Frontera is the number one stop in this triangle, and is the beautiful home of flamenco, horses, motorcycles, and sherry. Take a trip to the southernmost area of Europe and enjoy the bodegas that are well worth visiting. Named after the river it overlooks, Mosel is one of 13 German wine regions, leading the pack in international prestige. Mosel is famous for its generous production of light, crisp, and flowery Riesling wine. Wines from this region, both red and white, exhibit great depth of flavor—making each swallow an adventure of its own. Near the French and Luxembourg borders, this location is an easy detour to take while travelling through Europe. The Rhine river offers a spectacularly cool climate, giving the area a refreshing ambiance. Experience Rieslings of finesse and elegance that escape most other Riesling varieties in an area bound to impress with its villages and history. With a thousand aromas and notes in a thousand glasses, take your next trip to a beautiful winery in Europe. 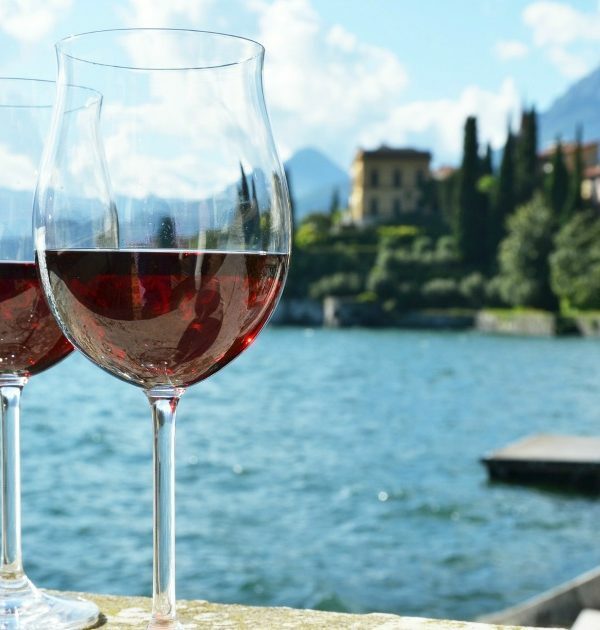 Travel the world in a bottle and drink with passion; it’s always a fit occasion for wine.